Whenever you’re looking to apply for a mortgage, auto loan or lease, or even a job in some cases, your credit score is the first impression to a potential lender. Not only does your credit score decide your approval or denial on the loan itself, but also the terms. The higher the score, the more favorable interest rate you can receive, ultimately saving you the most money every month compared to getting approved for a higher interest rate. To continue to see your score rise every month, there are a few ways to ensure you’re staying on top of all credit aspects. 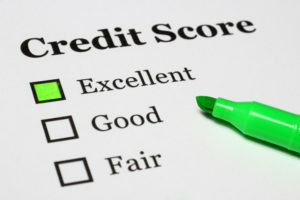 While certainly your score is important but your full credit report is where the score is derived from. By pulling a copy of your credit report, which can be obtained for free once a year from the major credit bureaus, you can ensure that all accounts are up to date an accurate. Just keep in mind that reports can be delayed a month or two, in case you’ve recently paid off or taken out new credit. Once you have verified, then continuing to monitor your credit score on monthly statements is in order. It goes without saying that you should pay your bills on time, but what happens if you’re late? Well missing your payment due date may cause a late fee or even an interest rate spike which can cost you money over time, but it’s when you hit thirty days late is when it’s reported to credit and you can get used to seeing that ding appear for years to come. Although all of your due dates may be overwhelming, it’s important all payments are made on time, so if that means scheduling in advance, it’s probably a good idea. Sure, this may seem like common sense as well, but if you continue to charge more than you can afford, the remaining statement balance carries over to the next month, you’re hit with interest, and it’s a vicious cycle every month going forward. There is nothing wrong with using a credit card, especially when it comes to the rewards you can receive by even charging what you were going to spend anyways, but going beyond your means and increasing your credit utilization will hit your credit score as much as even a late payment would. If you’ve had credit issues in the past or even are on your way to paying off a large balance, the first instinct you may have would be to close the credit card account once you’ve reached a zero balance. That certainly will keep you from going down a spending path again, but it can actually hurt your credit score by closing the account and eliminating that available credit and length of the account. By keeping the account open but simply cutting up the card, you can have the best of both by having an account open with that available credit, and discipline from charging.